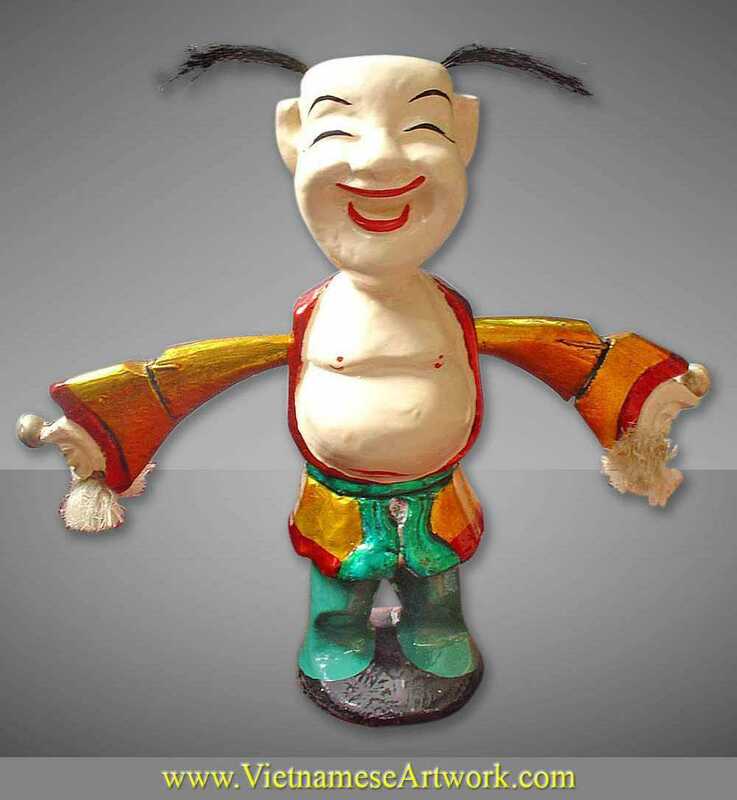 This cheerful guy is a popular character in village festivals or in parades. 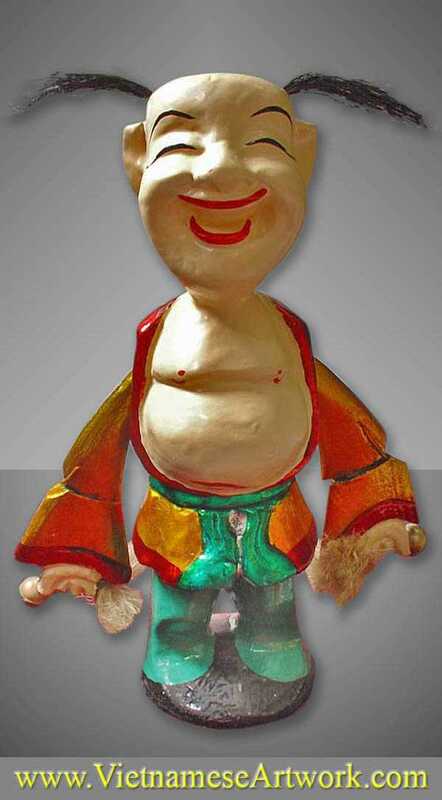 He has a special cheerful face and a funny outfit. He has two bells on his hands. There is a string in his back which can move his hands and ring the bells.